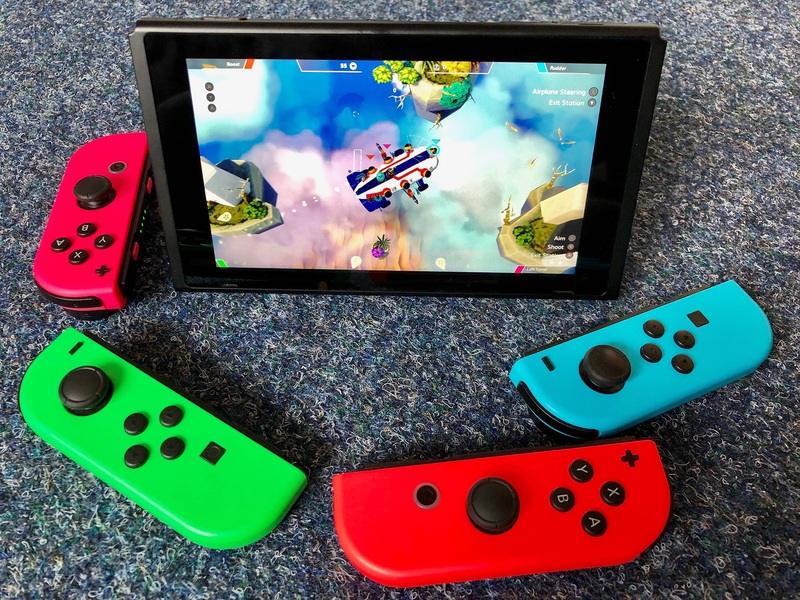 Airheart is a dieselpunk airplane action rogue like game, where every colorful level is built on top of the previous one, all the way up to the stratosphere. Welcome to Granaria, a flying city in the clouds. Meet Amelia - a young pilot and fisherwoman wishing to reach the abundant worlds edge. Mostly Positive (61) - 78% of the 61 user reviews for this game are positive. 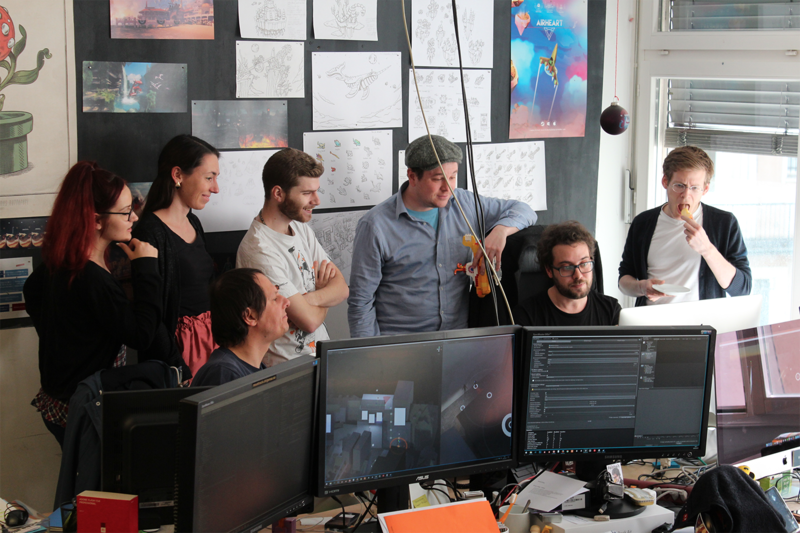 Yesterday we were able to celebrate 5 years of Blindflug Studios! 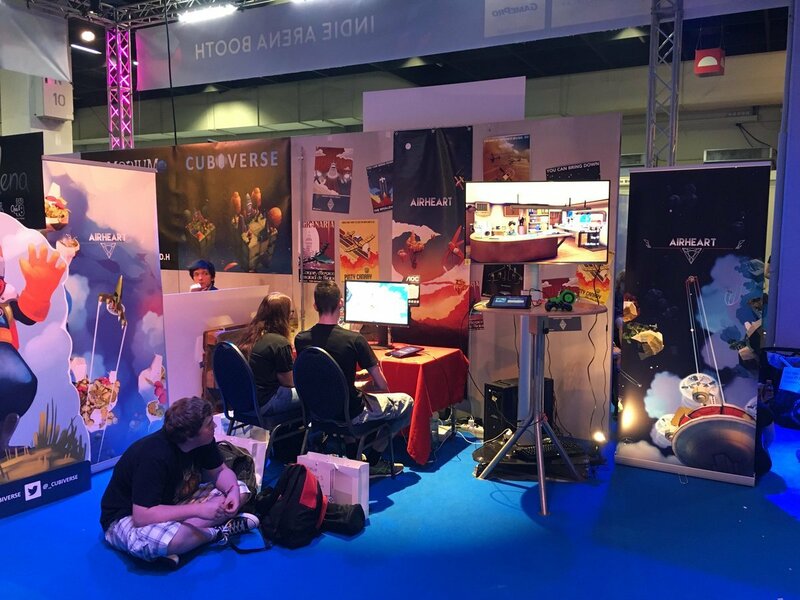 We started with development for iOS and Android, and with Airheart we were able to release a game on PC & Mac, PlayStation, XBox and the Nintendo Switch, which probably is the dream of every game developer. 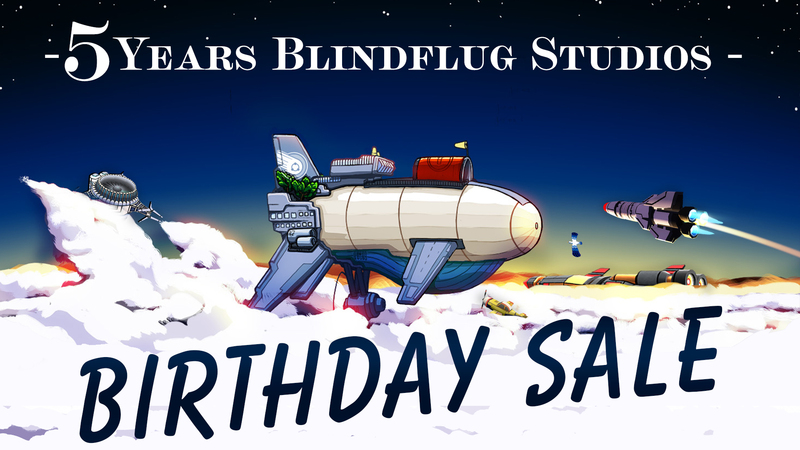 We want to celebrate our 5 years with our players, so we made a Sale for all our Steam games for the next couple days; all our games are reduced to up to 50%! 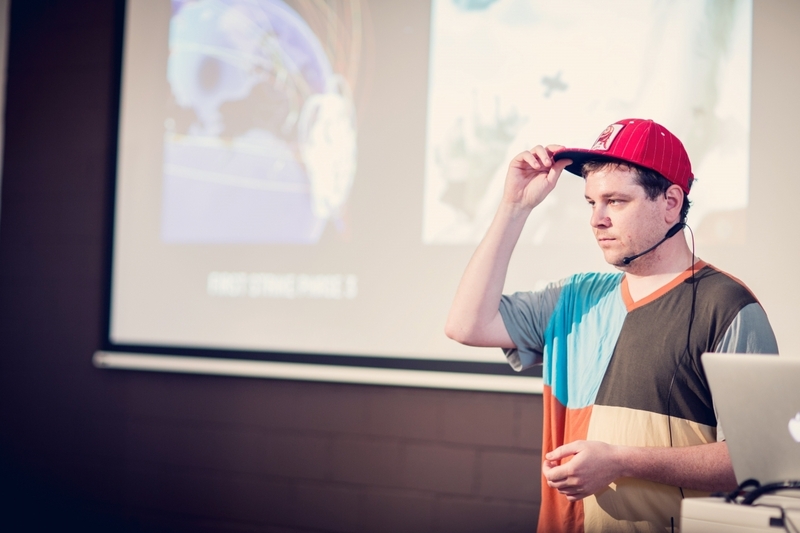 If you look closely at the picture, maybe you'll see some hints to our games! 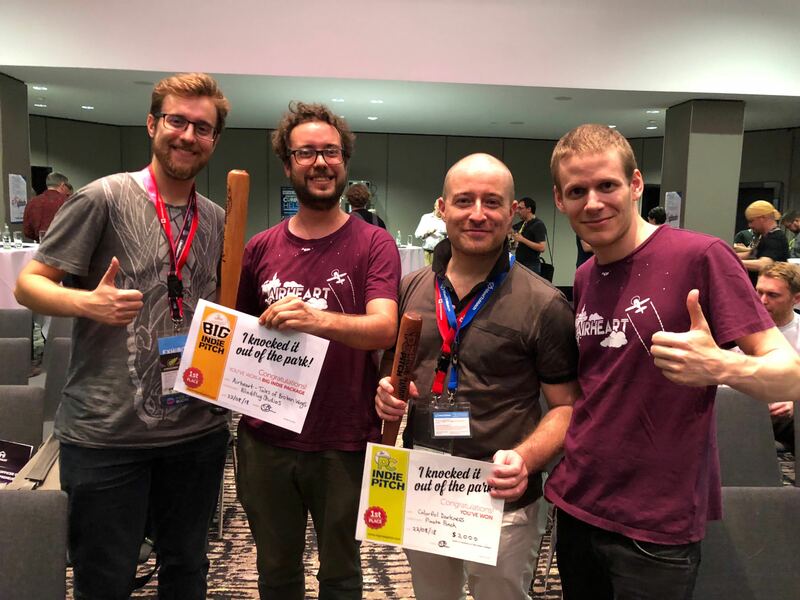 Here are some impressions from our team over the last 5 years, thanks for being part of our journey and we're looking forward to bring awesome new games to you in the future! Lots of people asked for it, and yes, we also think that it's a natural fit for the Switch. Now you can finally play Airheart on the go! It’s basically the same version that you get on Steam, with the quality settings adjusted for the different hardware. But wait, there’s one very important thing that’s different! The Switch is not only portable; it also has 2 controllers included! So we thought, why not include something special for this version, something that’s fun for more than one player. 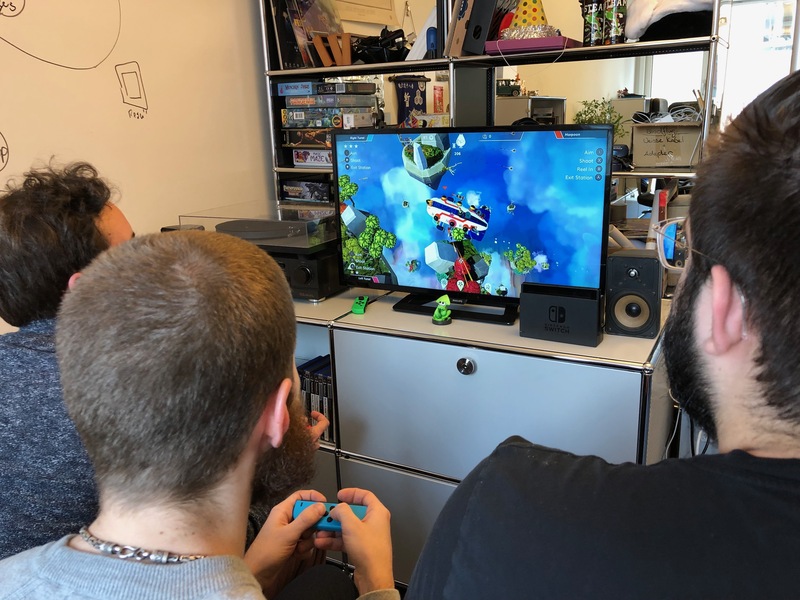 That's why we developed a Switch-exclusive local co-op mode where you can steer a zeppelin with up to four friends! It’s the same levels as in the single player portion, but with different NPC mechanics and new pick-ups. The goal is to get as high as possible and to beat your own high-score. To celebrate the Switch release, we’ll have a Sale on Steam with 35% cut off the usual price! It’s on from January 31st until February 3rd 10:00 AM US Pacific time.